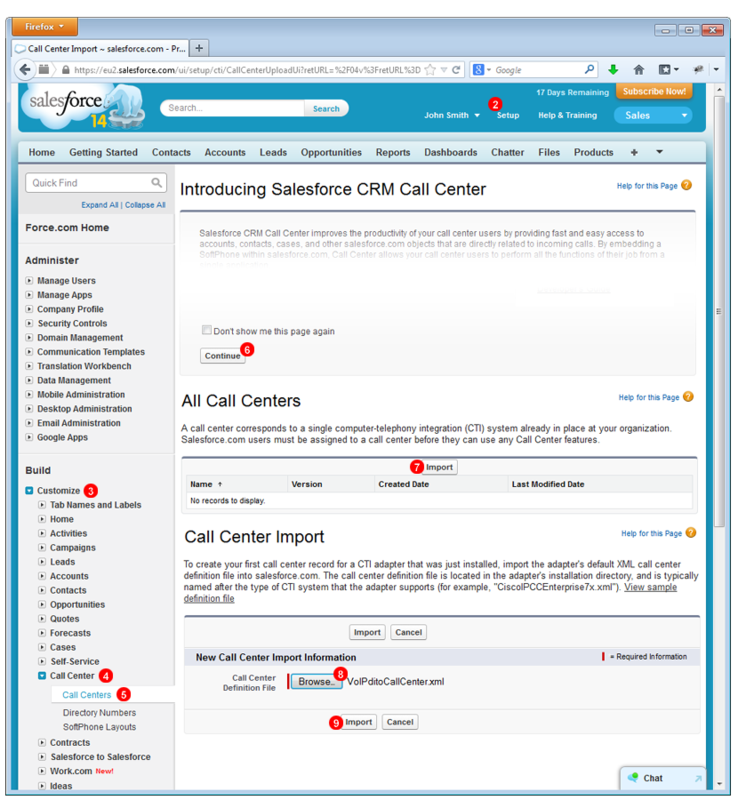 In this tutorial we will show how to enable Call Center functionality in Salesforce CRM. 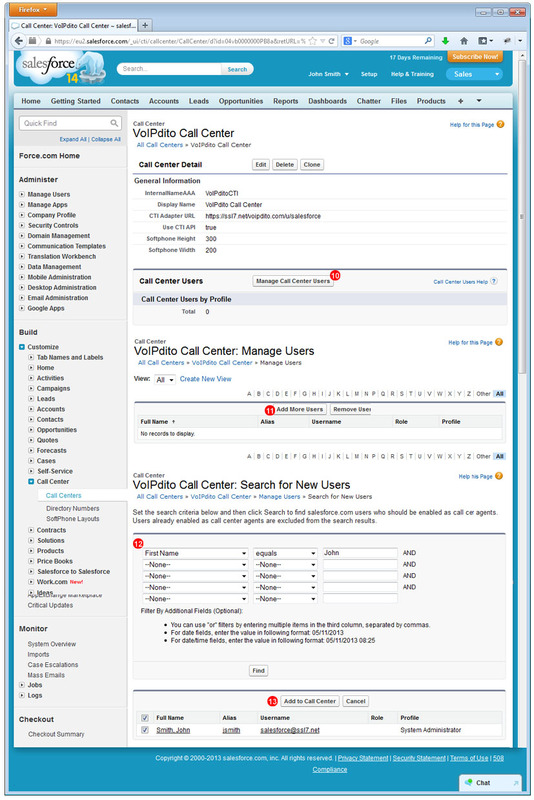 If you don’t have a VoIPStudio account yet, please sign up for a free trial here, as you will need an VoIPStudio account to enable Call Center module which will handle both “click to call” for outbound calls and intercept incoming calls allowing to easily manage your Leads and Contacts. 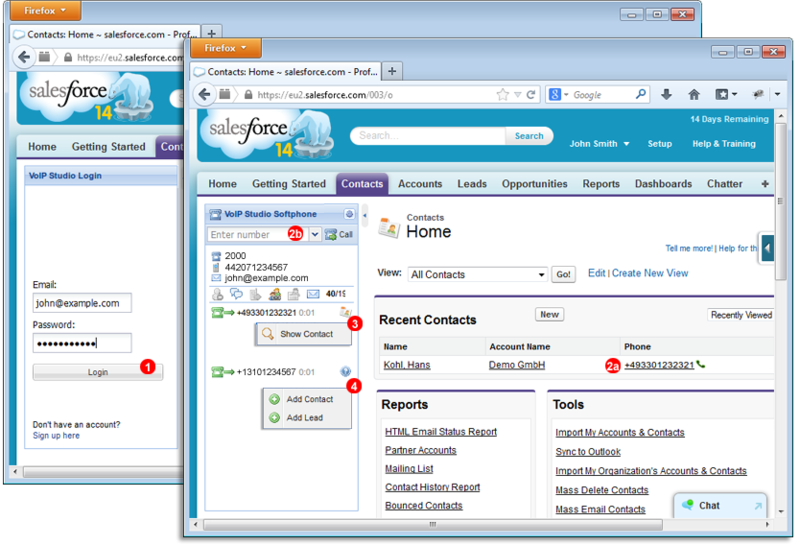 Login into your Salesforce account and click “Setup” in the top toolbar. Click “Continue” button on introduction page. Congratulations! 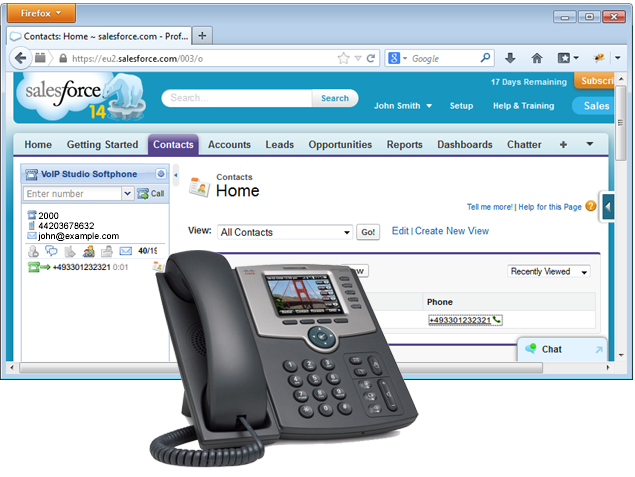 VoIPStudio softphone is now ready to use with your Salesforce Call Center. 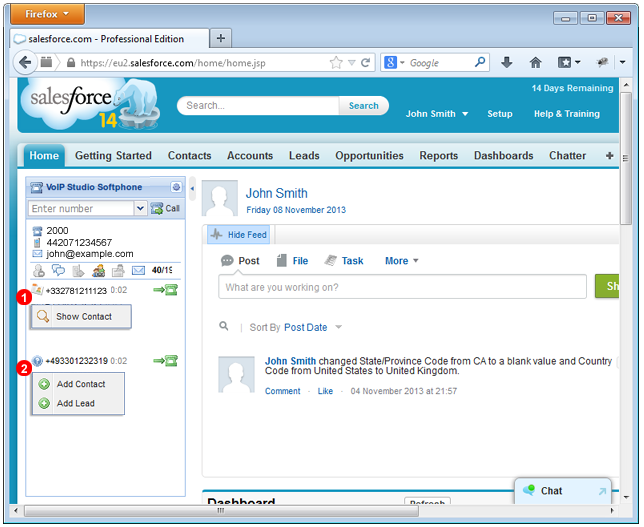 Before you can start making or receiving calls using VoIPStudio Salesforce Call Center module you need to login into the softphone using your VoIPStudio email and password. To place an outbound call you can click on the telephone number of your Contact or Lead (2a) or enter the number you want to call into top field of VoIPStudio softphone (2b) and click “Call” button. VoIPdtio PBX will call your registered SIP Endpoint (softphone running on your PC or hardware phone on your desk) and as soon as you answer the call will be placed to your destination number. At any time when on call to of of your contacts you can click “Contact” icon and select “Show Contact” from the context menu. If the call is to unknown destination you can click “Question mark” icon and select “Add Contact” or “Add Lead” from the context menu. When receiving an incoming call from known number you can click “Show Contact” in the context menu to have the relevant record opened. 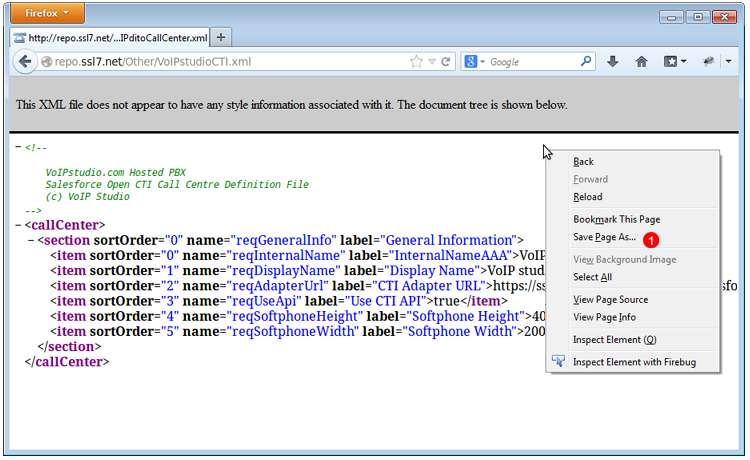 Incoming calls from unknown numbers will open a menu which allows to Add new Contact or Lead.